Bitvavo - Why is it necessary to verify my identity? All Categories ​>​ Account management ​>​ Why is it necessary to verify my identity? Why is it necessary to verify my identity? ID verification is always required except if you (in principle) want to deposit less than €5.000. ID verification is necessary to prevent fraud, money laundering and the finance of terrorism. This way Bitvavo can stay the most trusted digital currency platform in the Netherlands. You can easily verify your identity by uploading a copy of your identity document. This will in almost all cases be screened automatically and it will often only take a couple of minutes. What is important when I upload my identity document? You can only upload a passport, ID card or drivers license. Make sure that the whole document is visible, including the corners and sides. Make sure that all the information is visible and not covered. Make sure that the document is well lit and that there is no reflection. Make sure that the document is valid and not expired. If you think that your document is not correct, please start the process again. Do not try to complete the verification process if you know that there is something wrong. 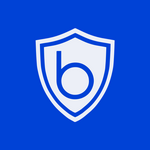 More information on how Bitvavo uses your identity document and how Bitvavo secures your document’s safety can be found here. In some cases it might be possible that additional information is required. If this is the case, please contact our support team by sending an email to support@bitvavo.com. Why has my deposit not been added to my account yet?